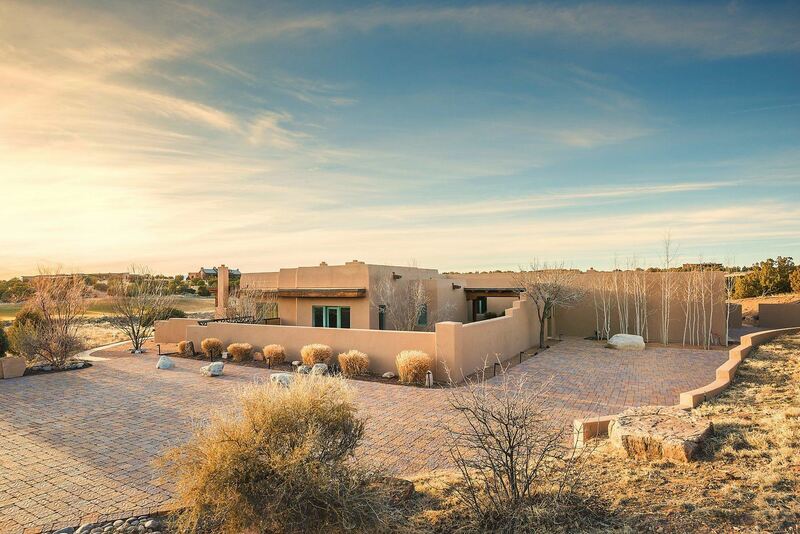 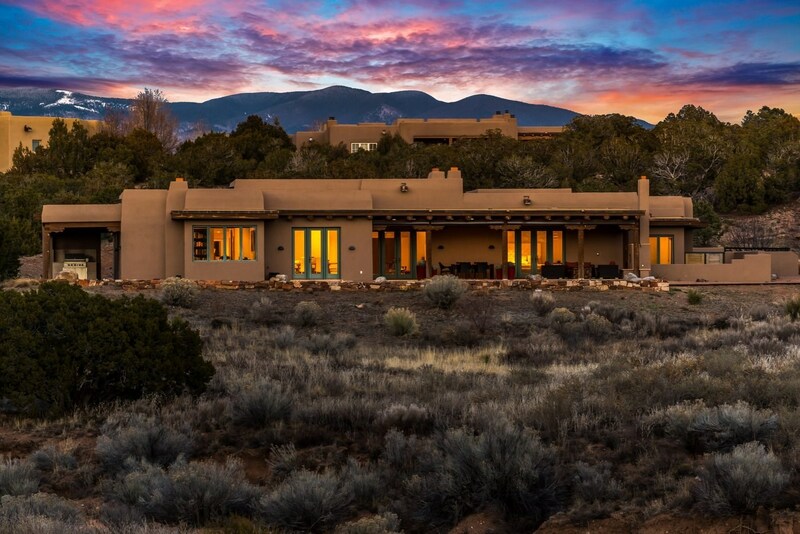 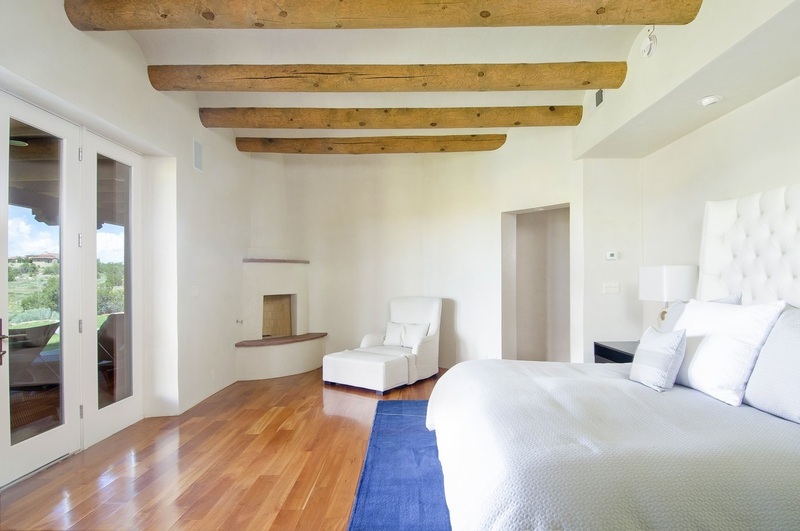 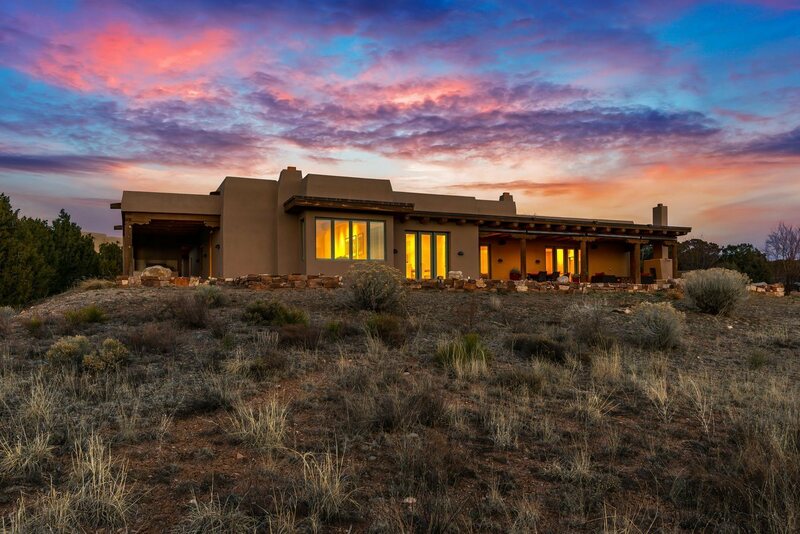 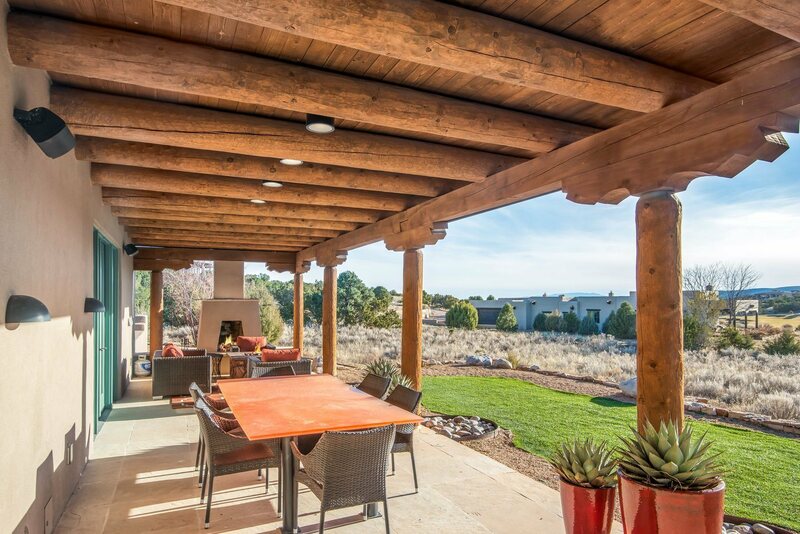 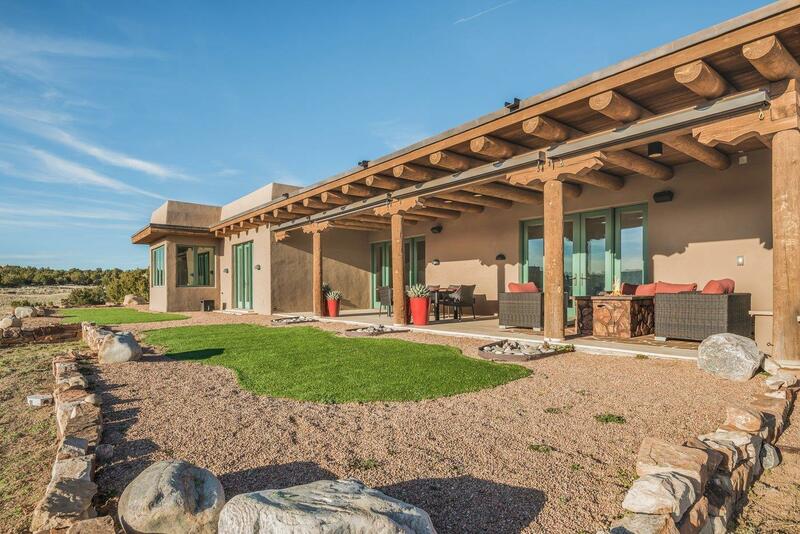 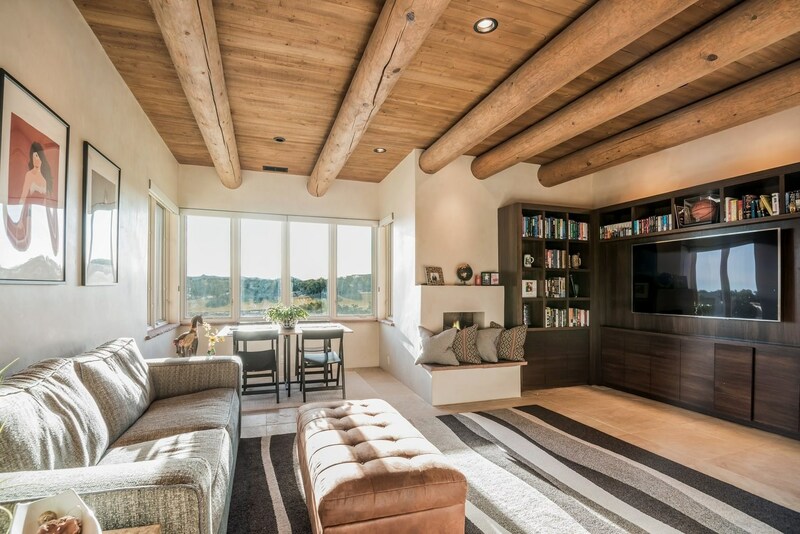 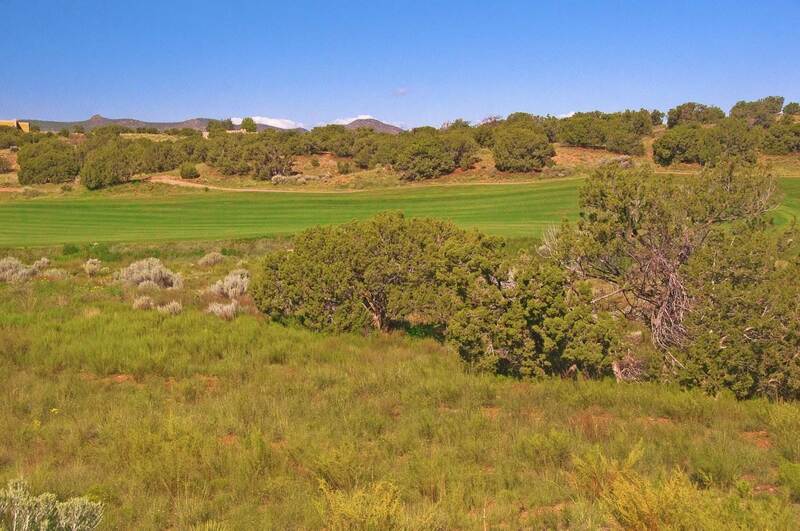 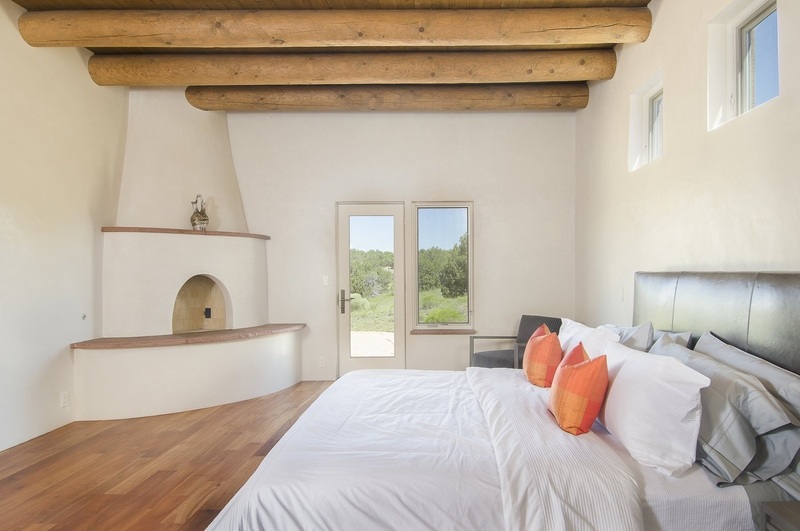 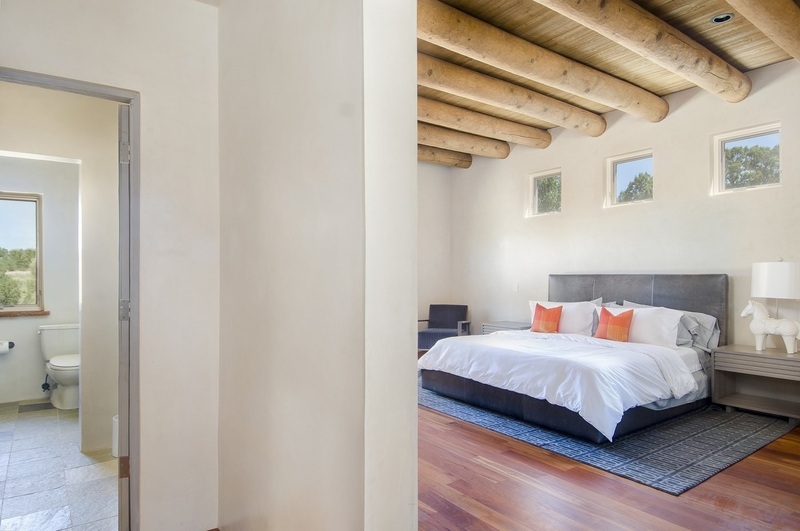 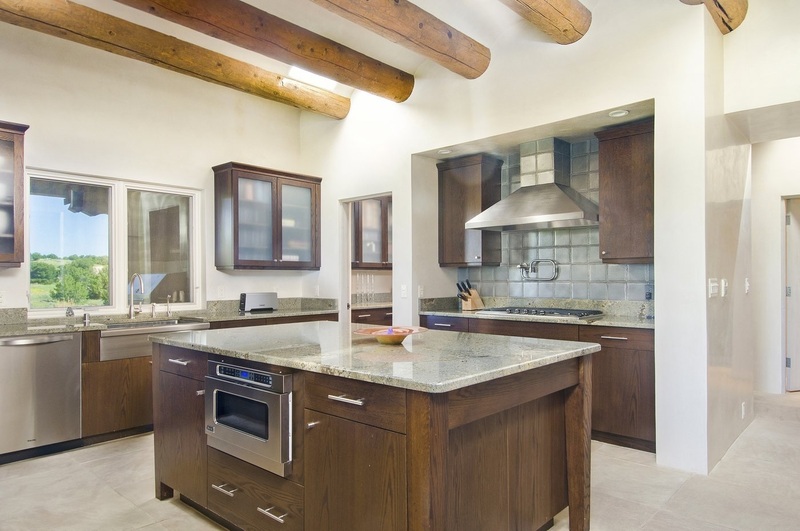 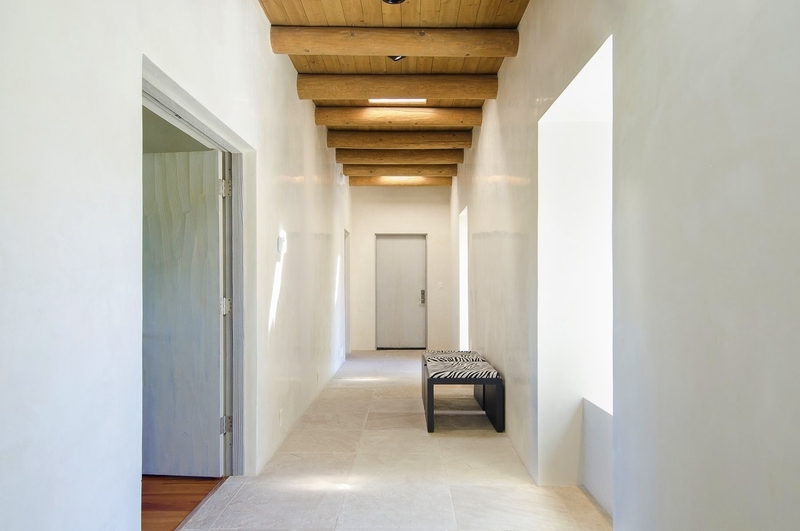 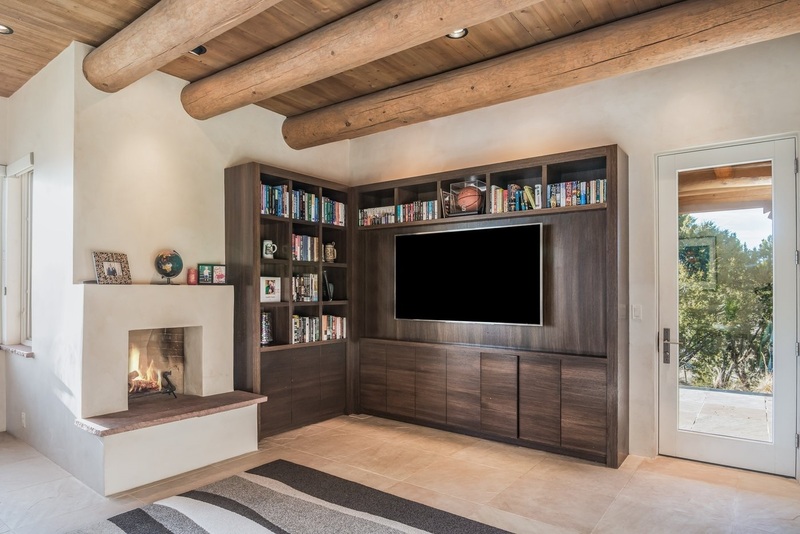 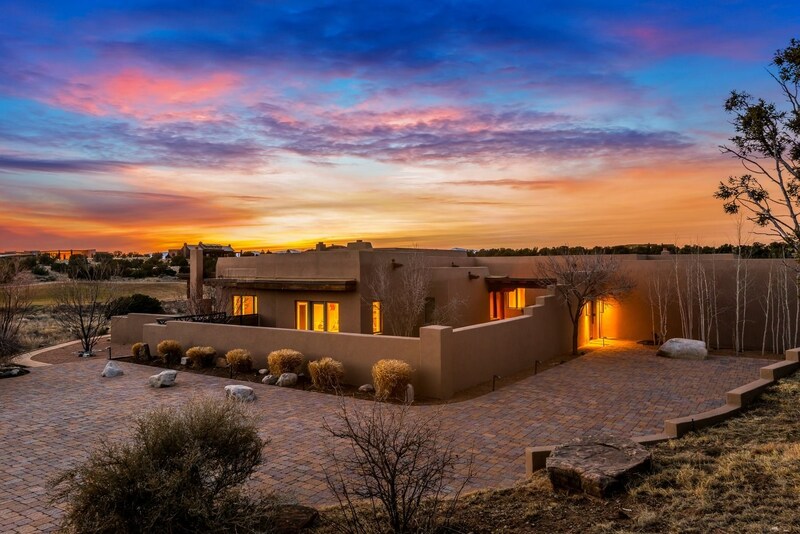 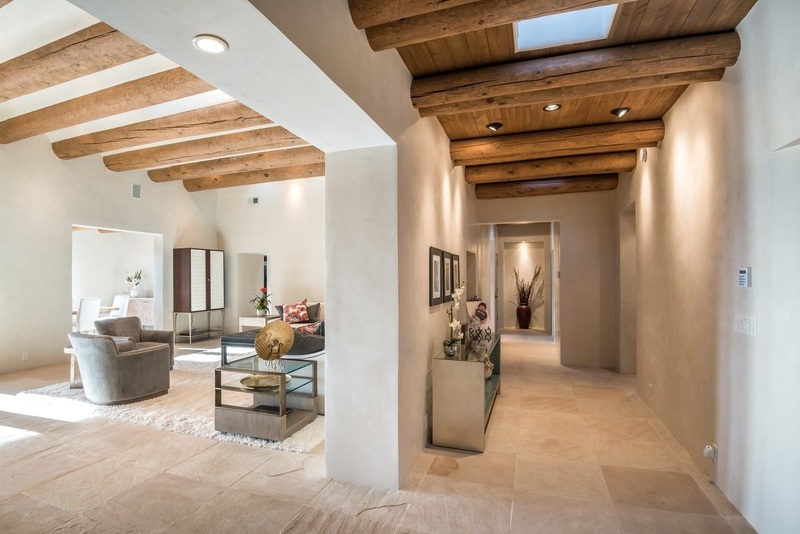 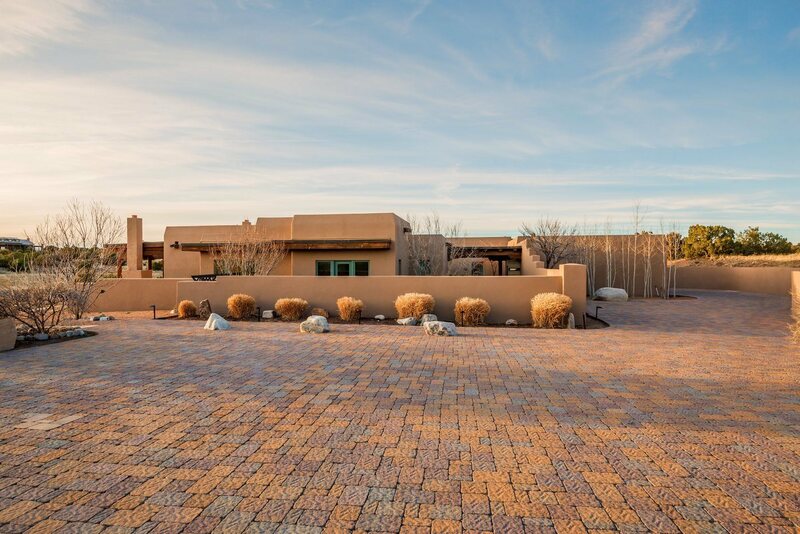 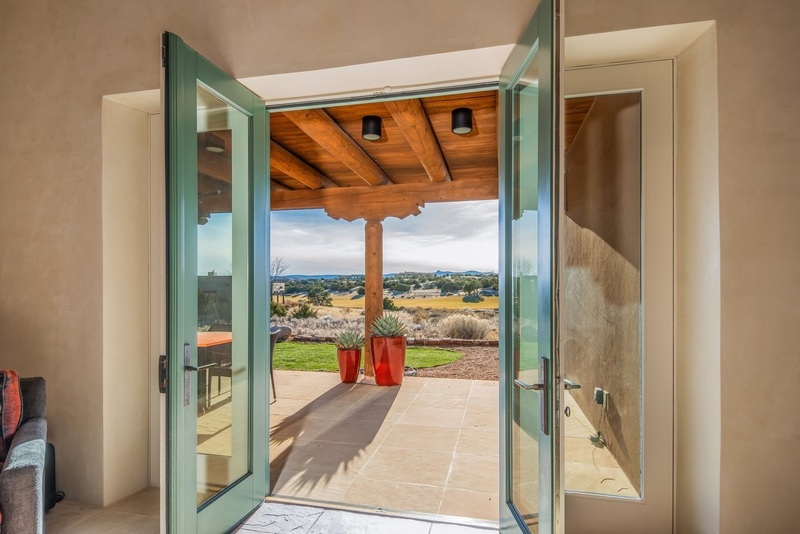 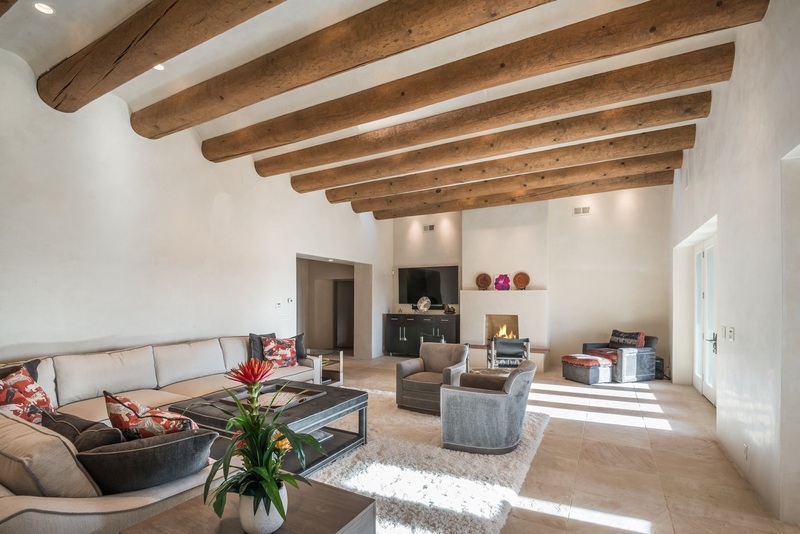 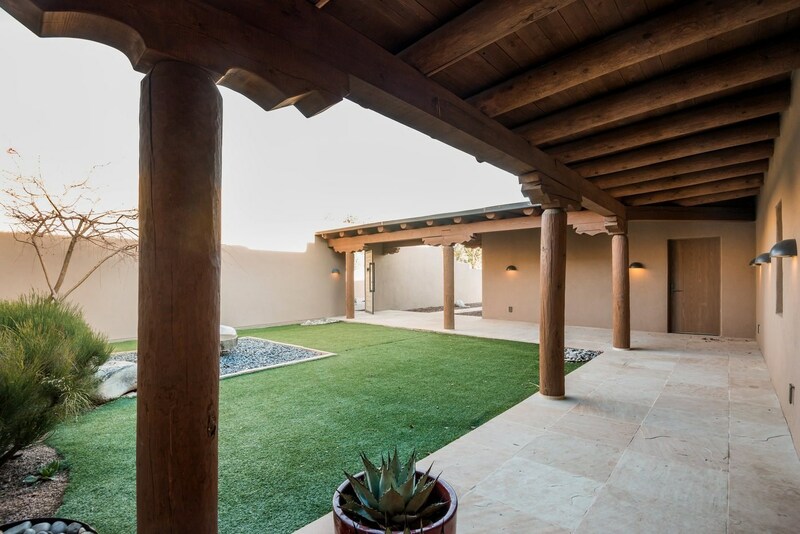 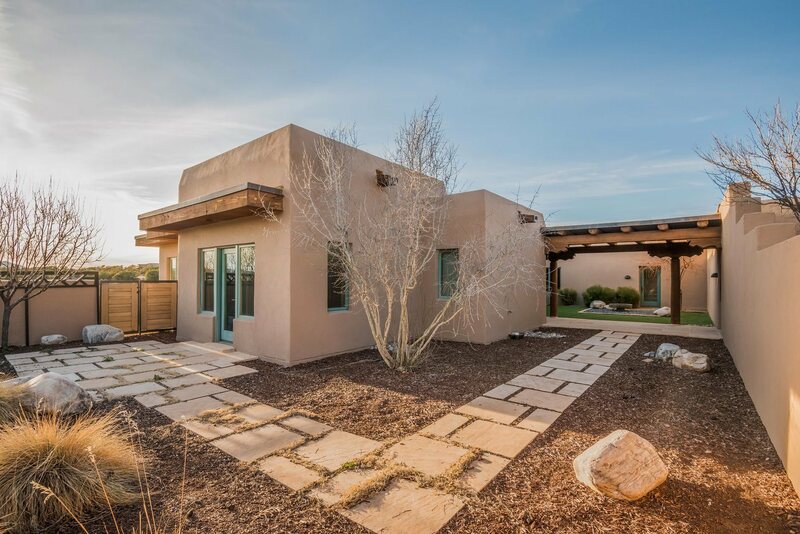 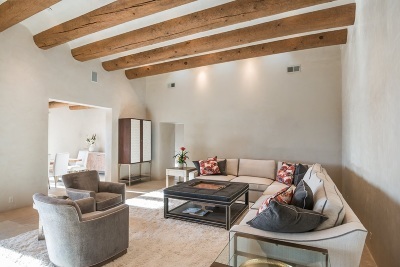 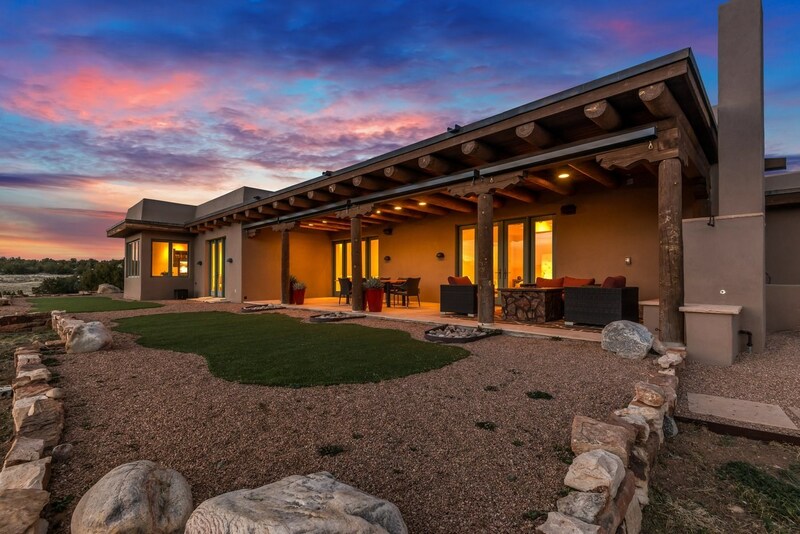 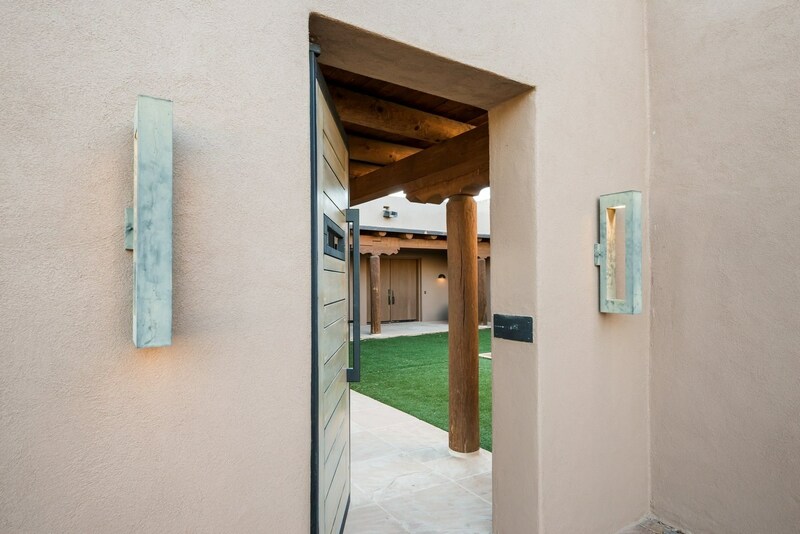 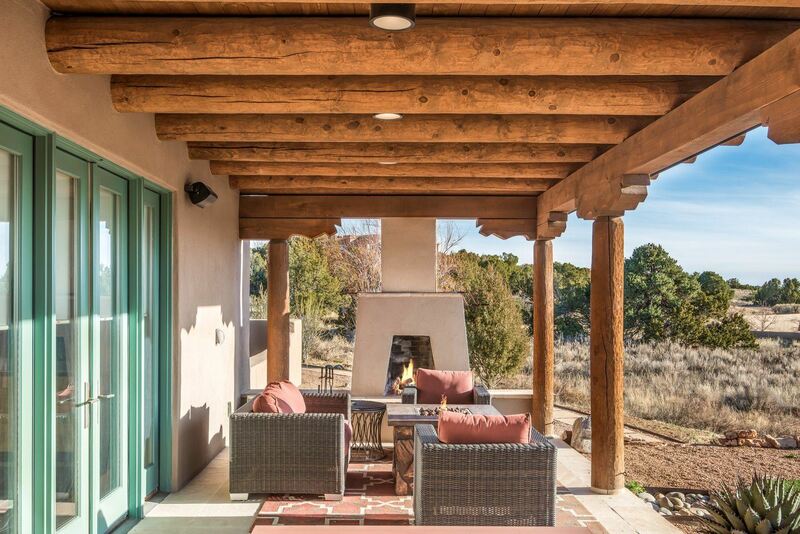 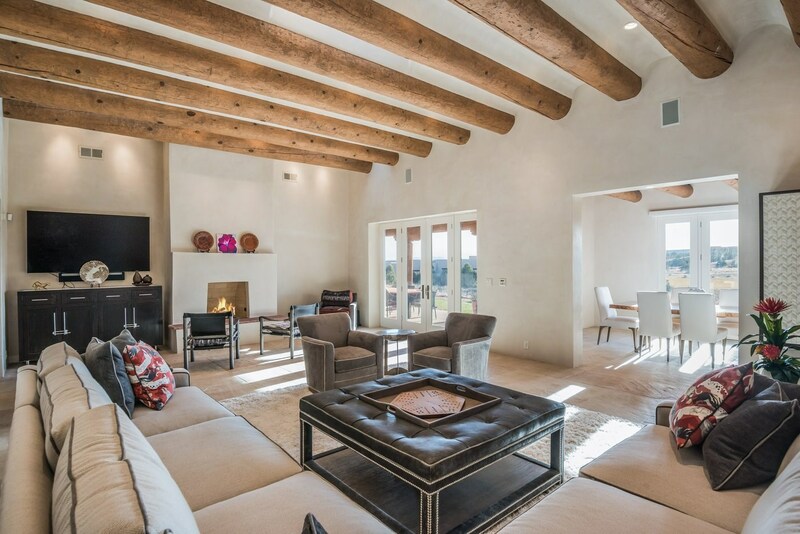 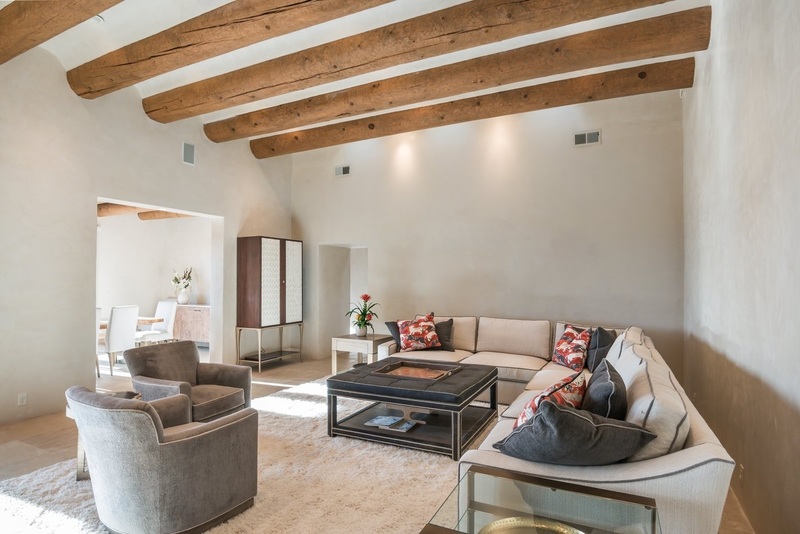 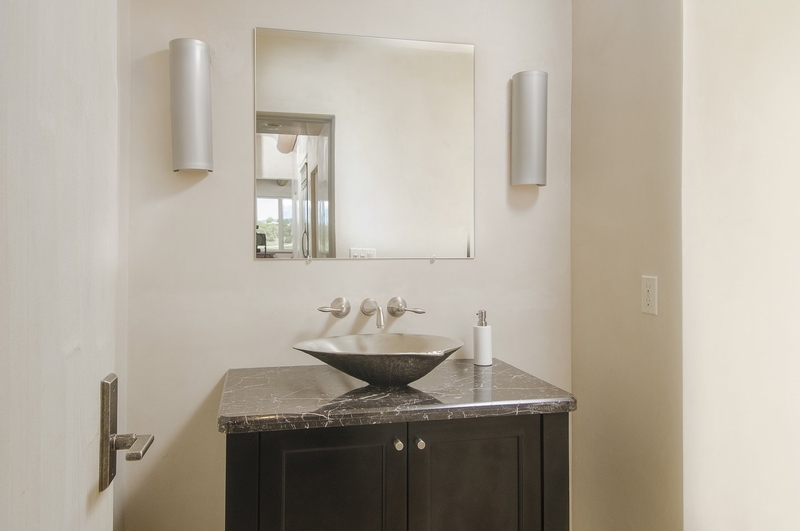 Contemporary Las Campanas masterpiece, well-sited on a premium 2.23 acre Sunset Golf course lot in Park Estates with expansive 4th fairway golf course, Jemez mountain and sunset views. 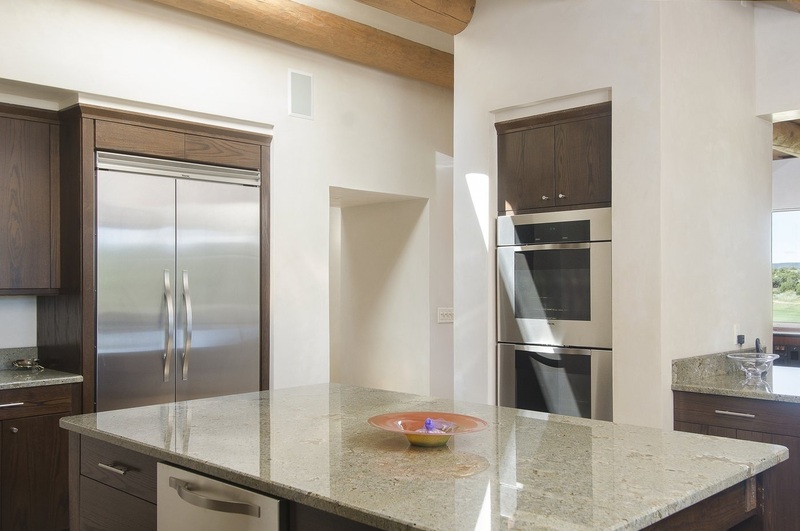 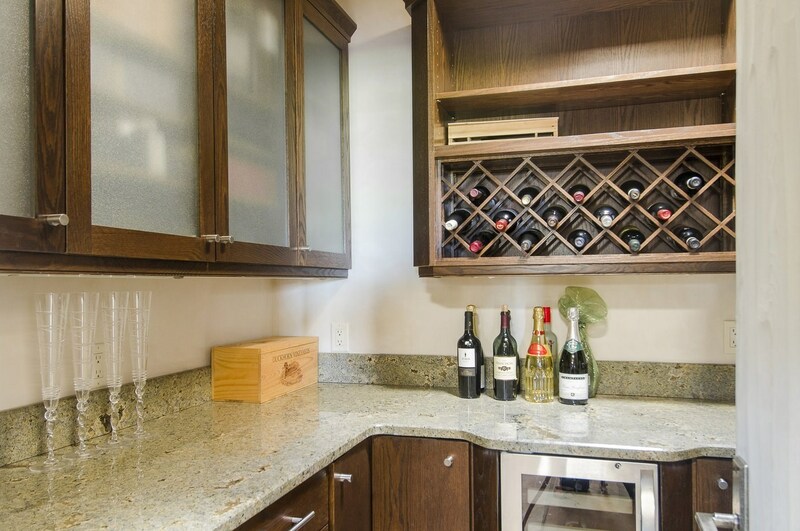 Privately accessed through an intimate courtyard, this exceptionally designed residence offers the finest chefs granite island kitchen with Viking appliances which opens to the casual living room and to the deep wraparound portal complete with an outdoor fireplace and Viking gas grill. 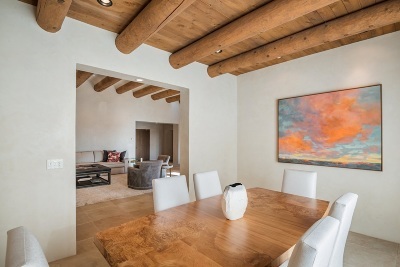 Additionally this home offers a formal dining room, formal living space, and generous wall space for art throughout. 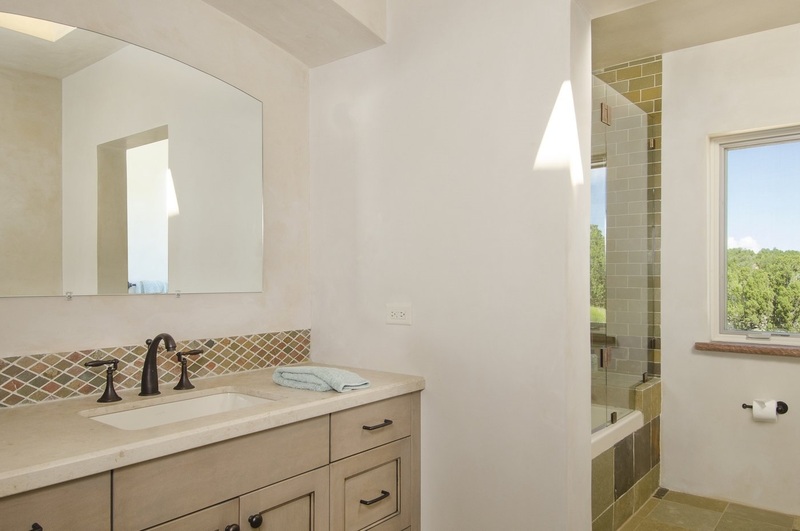 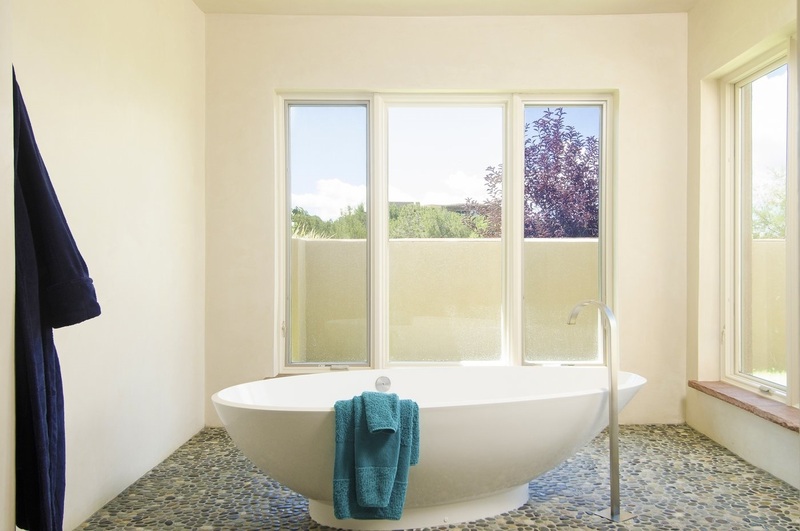 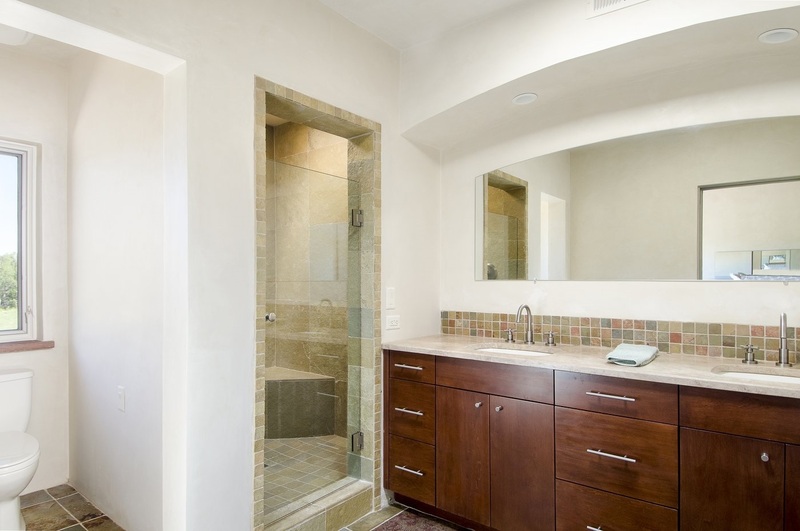 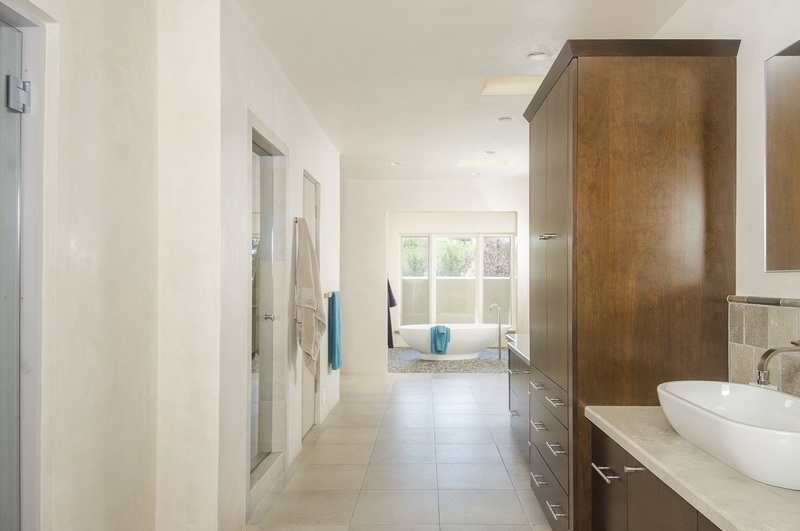 The private master suite offers dramatic fairway views, a spa-like master bath complete with a sauna and custom soaking tub with pebble flooring. 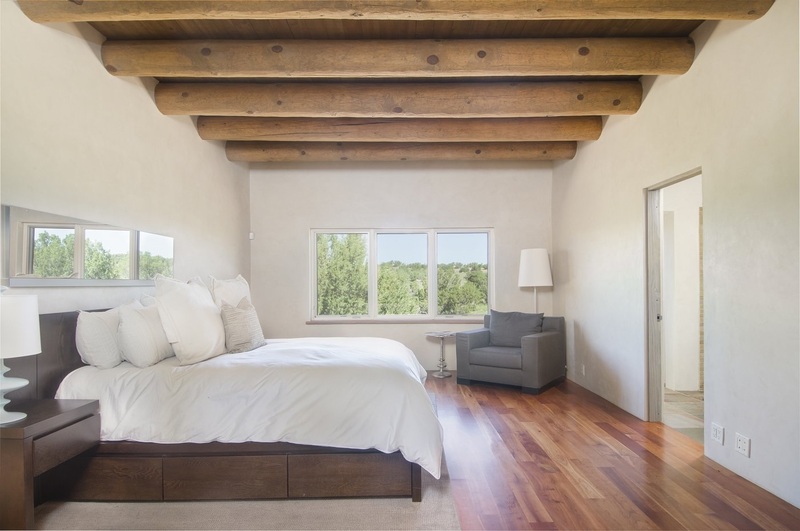 Thoughtful separation of space includes a private guest wing with two spacious ensuite bedrooms, and a fourth bedroom ensuite with a private entrance which is also accessed from the master suite and makes an ideal exercise/hobby room or home office. 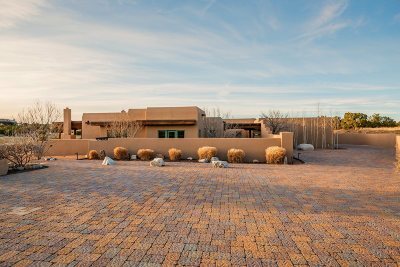 Newly stuccoed in 2018, additional features includes radiant heat, air conditioning, a three car garage, square flagstone flooring and quality neutral finishes throughout. 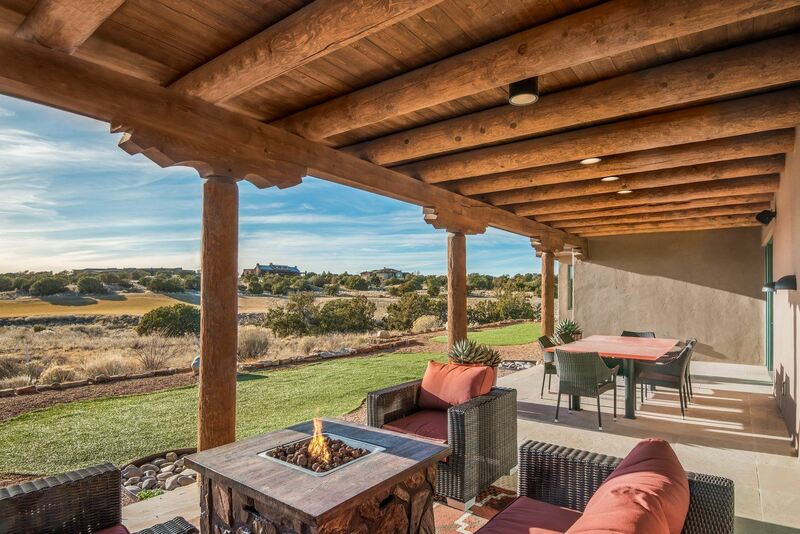 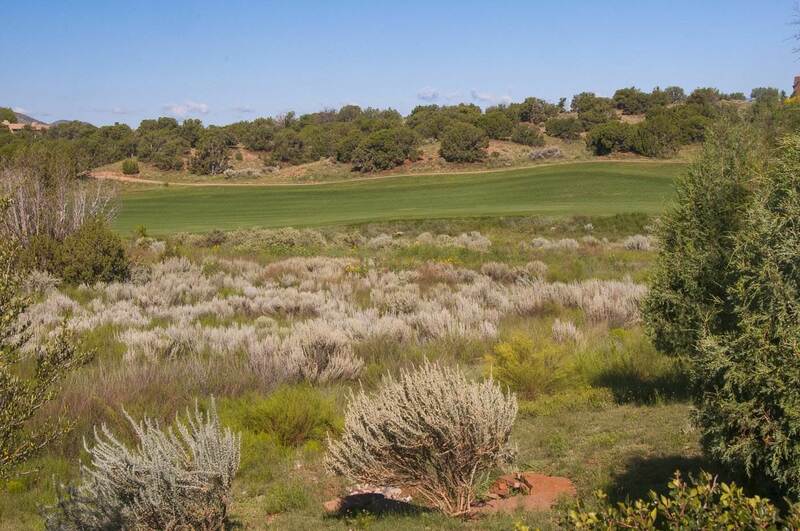 The owner&apos;s Golf Membership to the Club at Las Campanas is negotiable.